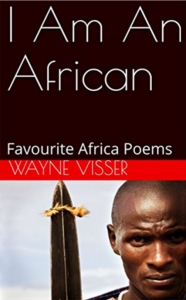 This creative collection, now in its 5th edition, brings together Africa poems by Wayne Visser, including the ever popular “I Am An African”, as well as old favourites like “Women of Africa”, “I Know A Place in Africa”, “Prayer for Africa” and “African Dream”. The anthology celebrates the luminous continent and its rainbow people. The updated 5th Edition includes new poems like “Africa Untamed” and “Land of the Sun”. Buy the paper book / Buy the e-book.